From Interest Point 3, turn around to head north on Flight Systems Dr. until you reach the gate at the opposite end of the street, gate A15. Interest Point 4 provides the best view of the “boneyard”. 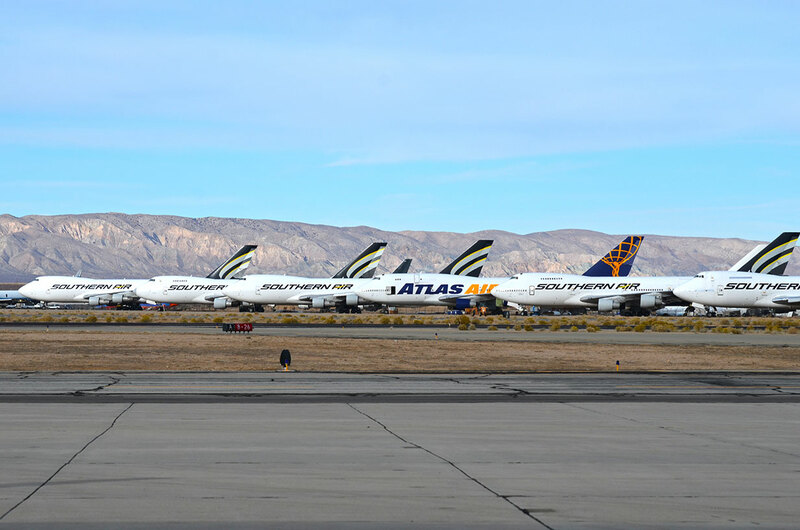 The airliners across the airfield are parked in the area known as the boneyard. The aircraft stored around the airfield are a mix of airframes waiting to be torn up into scrap metal and some which are in flyable storage. The majority of the airframes are destined for scrap, only the few isolated out on the west side of the grounds are in flyable storage. 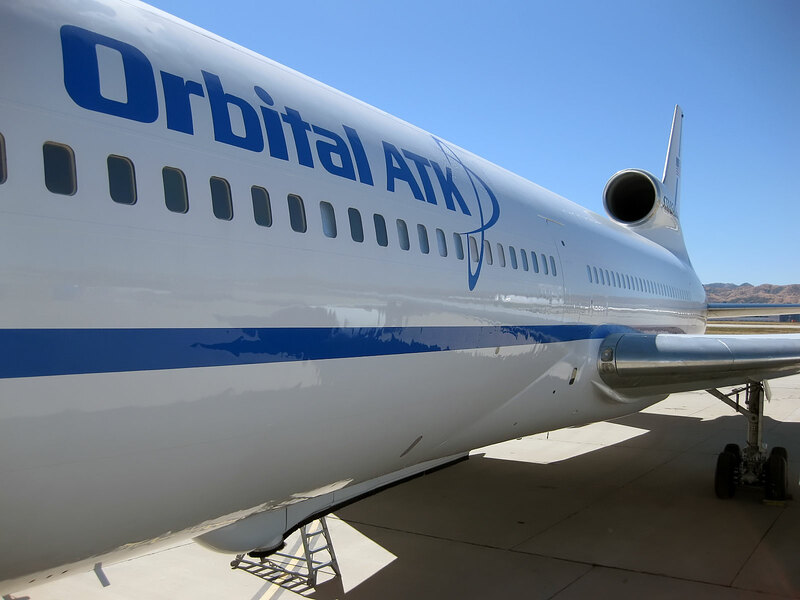 Because the airframe and the engines of large airliners are typically owned by different entities, many of the aircraft here have had their engines removed. 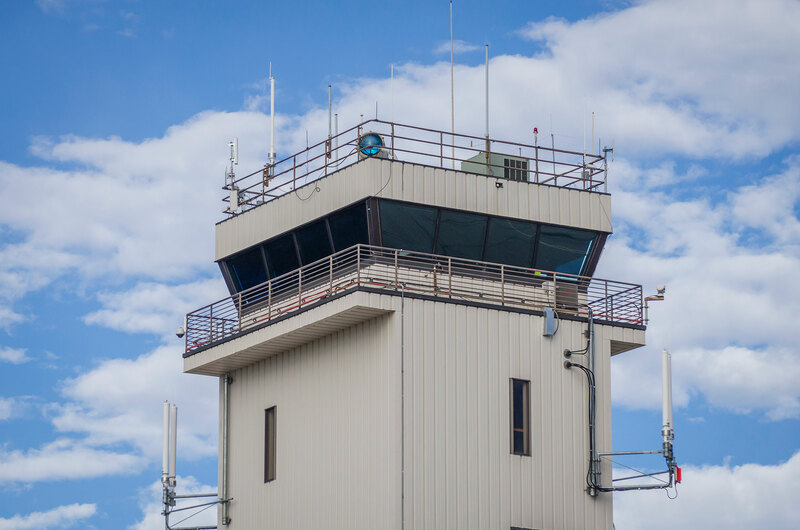 The tower just on the west side of gate A15 in the control tower for the air and space port. To your left, a large blue and white aircraft should be parked on the west side of Flight Systems Dr. near the control tower, if it is not out flying. 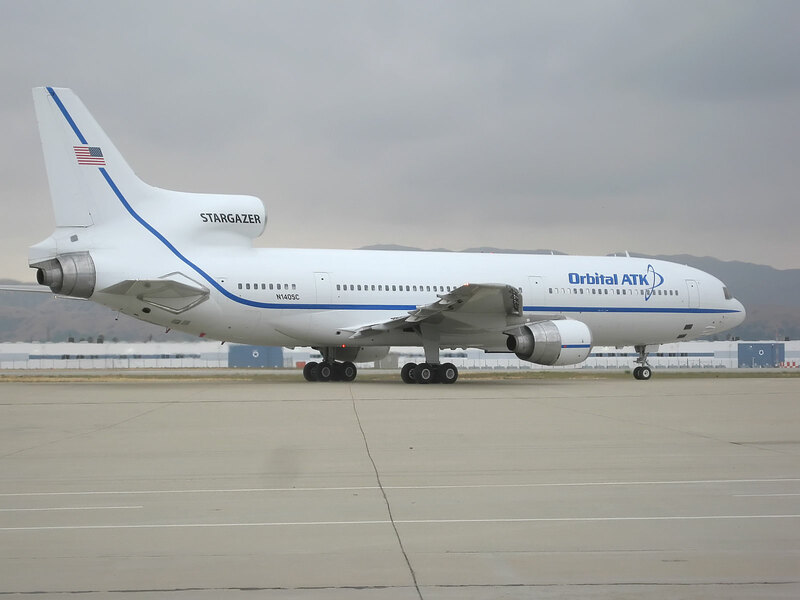 This aircraft is thought to be the last remaining operational Lockheed L-1011 (“L-ten-eleven”). 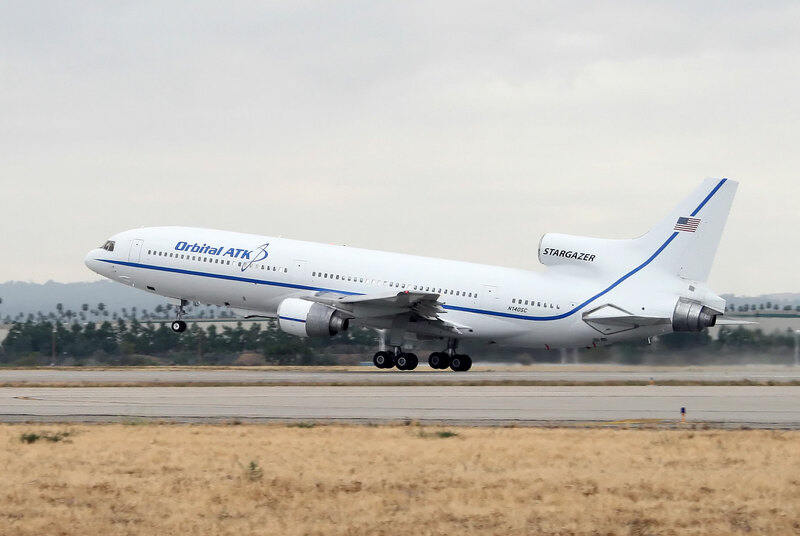 This specific aircraft is known as the Stargazer and is operated by Orbital ATK as a carrier for the company’s Pegasus rockets. The Pegasus rocket drops from the bottom of the aircraft before firing its rocket engine to deliver satellites to space.